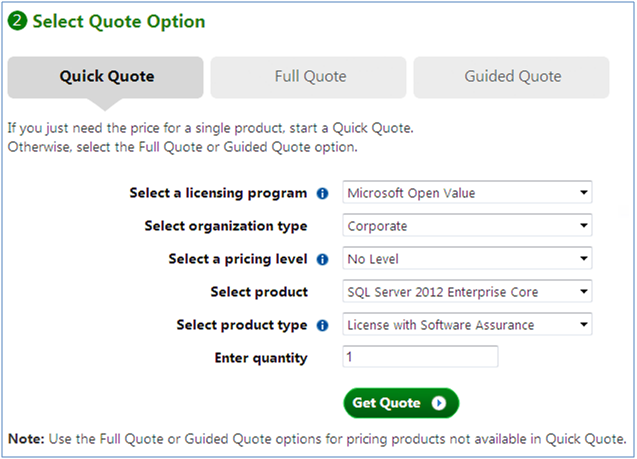 SQLCircuit: SQL Server 2012 Licensing and Pricing Guide. 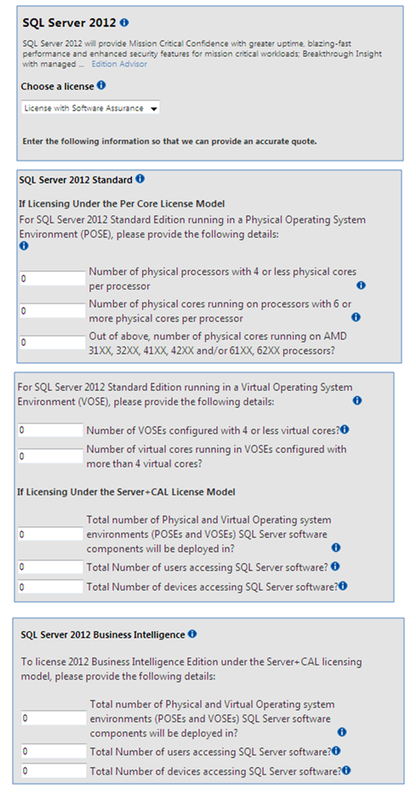 This Licensing Guide provides a way to understanding how Microsoft® SQL Server® 2012 database software is licensed through Microsoft Volume Licensing programs. 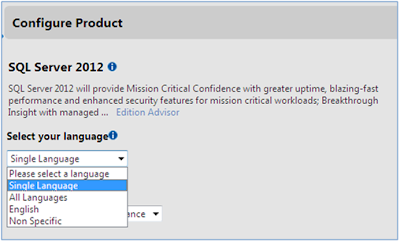 · Enterprise Edition is ideal for mission critical applications and large scale data warehousing. 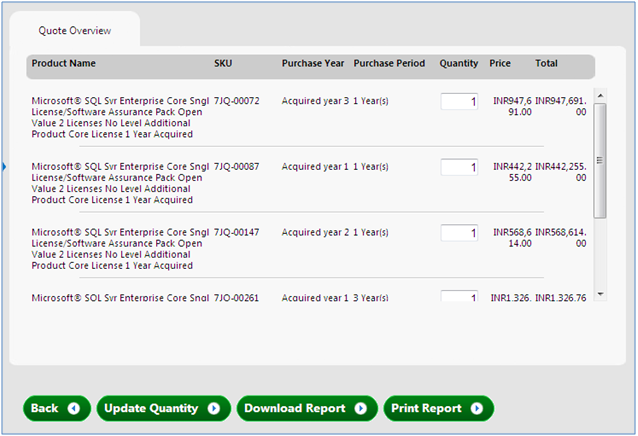 · Business Intelligence Edition, a new offering, provides premium corporate and self-service business intelligence (BI). · Standard Edition delivers basic database, reporting and analytics capabilities. The new editions are offered in a straightforward, tiered model that creates greater consistency across the product editions, features and licensing. 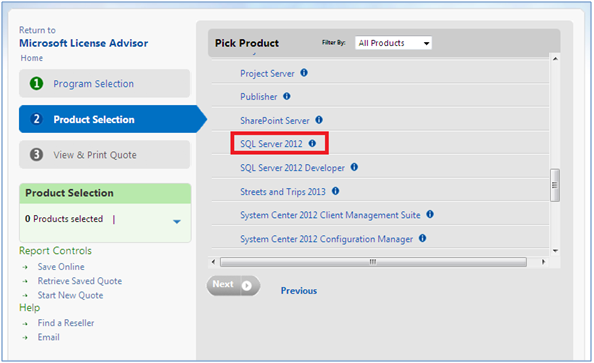 The Enterprise Edition includes all the capabilities available in SQL Server 2012. The Business Intelligence Edition includes all Standard Edition capabilities, plus all BI capabilities included in the Enterprise Edition. 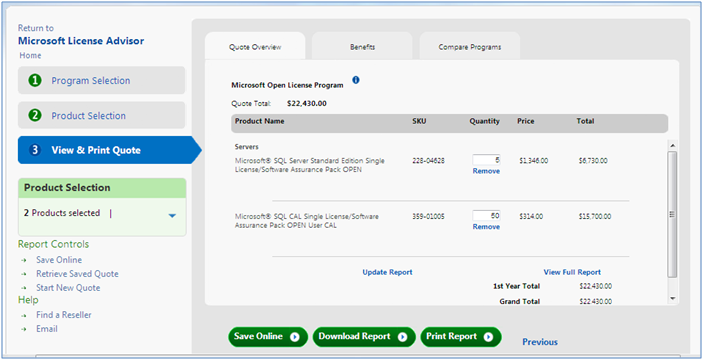 SQL Server 2012 software licenses are sold through channels designed to meet the unique needs of customers. 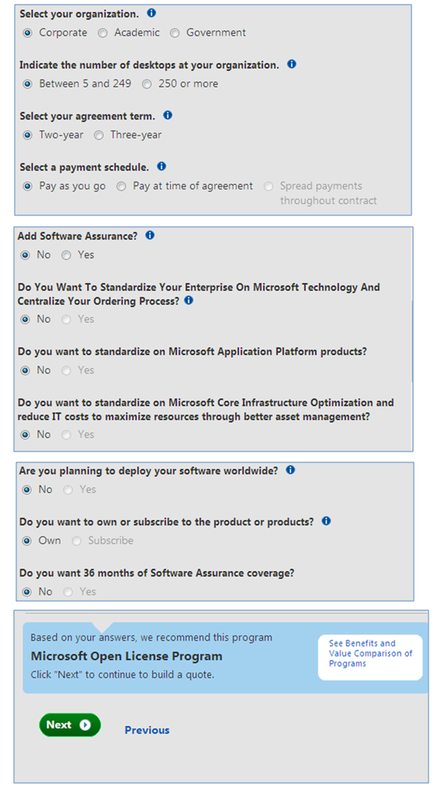 These sales channels include online retailers offering full packaged product (FPP) licenses of SQL Server software, Original Equipment Manufacturers (OEMs) offering pre-installed licenses with their hardware systems, as well as Large Account Resellers (LARs) and Enterprise Software Advisors (ESAs) offering SQL Server software through Microsoft Volume Licensing programs for end customer organizations. 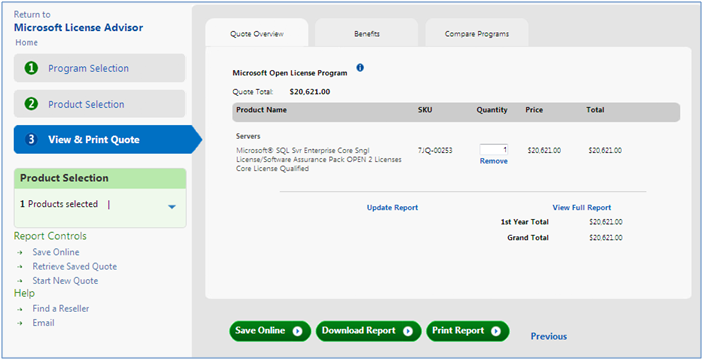 For customers with as few as five users, Microsoft offers licensing programs to help reduce administrative overhead and software management costs, while enabling product licensing on an ongoing basis at considerable discounts. 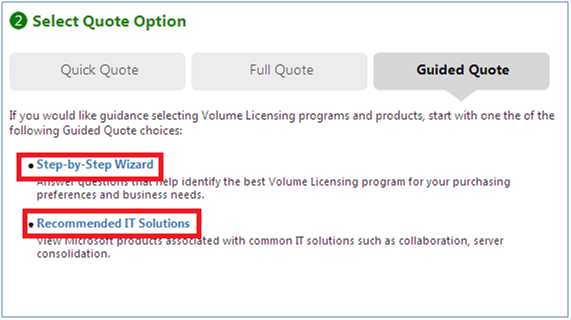 The various licensing options enable customers to choose the program that works best for their management and operational needs. 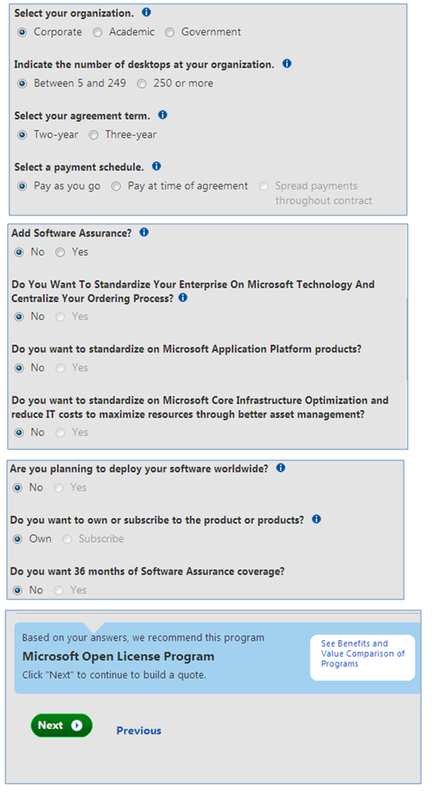 · Comprehensive programs that offer Software Assurance as a fixed benefit include the Open Value, Open Value Subscription, Enterprise Agreement (EA), Enterprise Subscription Agreement (EAS) and the Enrollment for Application Platform (EAP). 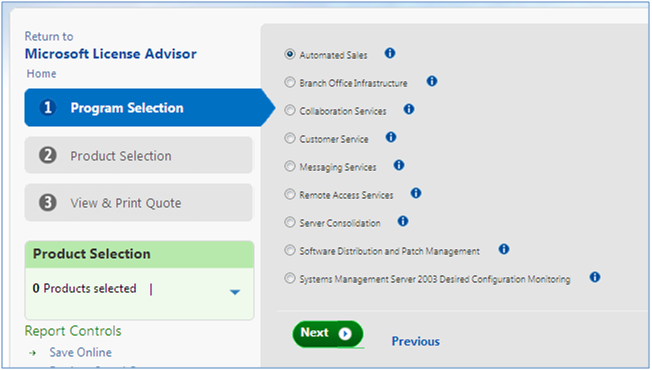 · Transactional programs include Open, Select and Select Plus. 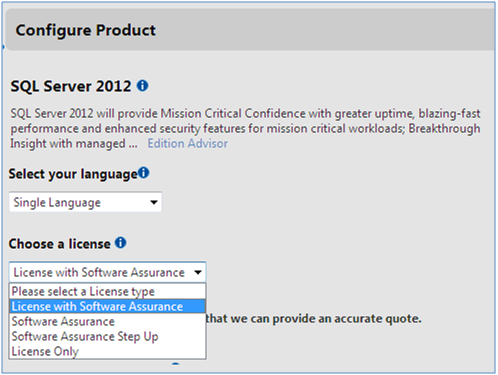 The EAP is a flexible cost-effective licensing program designed for EA customers who are standardizing on the Microsoft Application Platform. With the EAP, customers get the latest SQL Server and other Application Platform products across their organizations on new and existing deployments with lower up-front costs, and savings of up to 40 percent on new IT solutions. 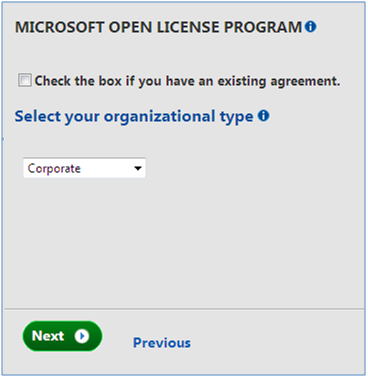 Microsoft also offers programs that can meet the specific needs of organizations that partner with Microsoft to provide additional software and services, such as the Microsoft Independent Software Vendor (ISV) Royalty Licensing Program and the Microsoft Services Provider License Agreement (SPLA). 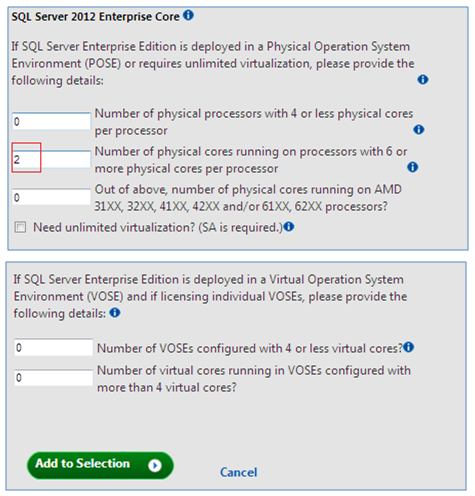 SQL Server 2012 will continue to offer two licensing options – one based on computing power, and one based on users or devices. In the computing power-based license model, however, the way we measure power will shift from processors to cores. Core-based licensing provides a more precise measure of computing power and a more consistent licensing metric regardless of where the solution is deployed across on-premises, virtual and cloud scenarios. 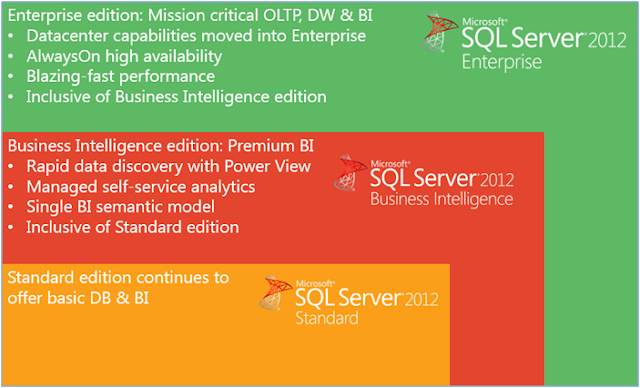 · The Enterprise Edition and Standard Edition of SQL Server 2012 will both be available under core-based licensing. Core-based licenses will be sold in two-core packs. · Core based licensing is appropriate when customers are unable to count users/devices, have Internet/Extranet facing workloads or systems that integrate with external facing workloads. · To license a physical server, you must license all the cores in the server with a minimum of 4 core licenses required for each physical processor in the server. 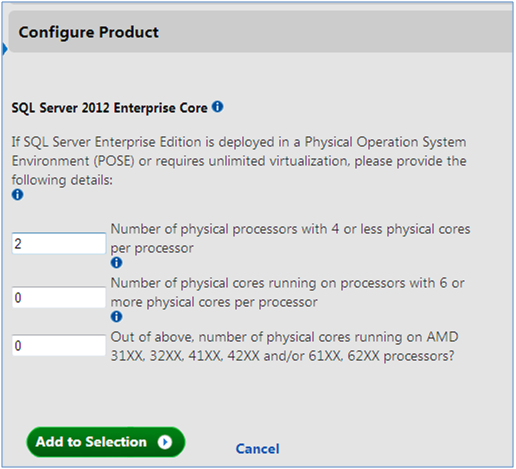 · Core licenses will be priced at ¼ the cost of a SQL Server 2008 R2 (EE/SE) processor license. 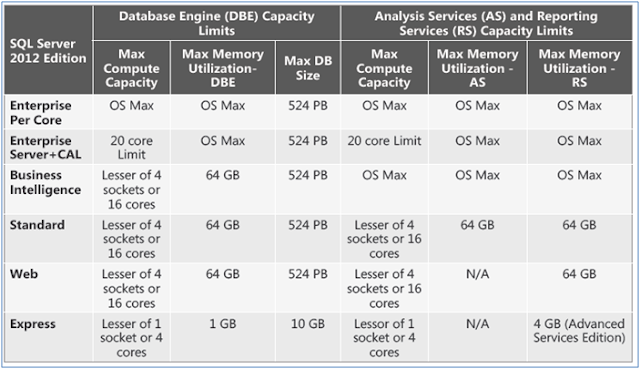 · AMD systems have different requirements; see SQL Server 2012 Quick Reference Guide. 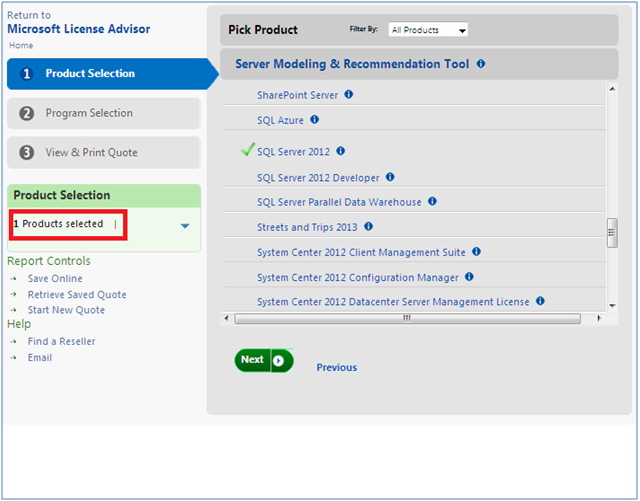 · The Business Intelligence and Standard Editions will be available under the Server and Client Access License (CAL) model. 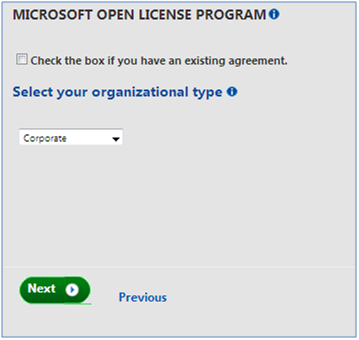 · This licensing model can be used when the number of users can be readily counted (e.g., internal database applications). 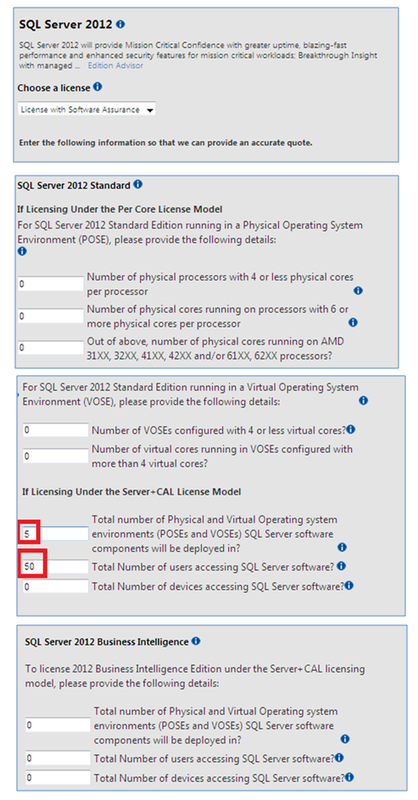 · To access a licensed SQL Server, each user must have a SQL Server CAL that is the same version or newer (for example, to access a SQL Server 2008 SE server, a user would need a SQL Server 2008 or 2012 CAL). 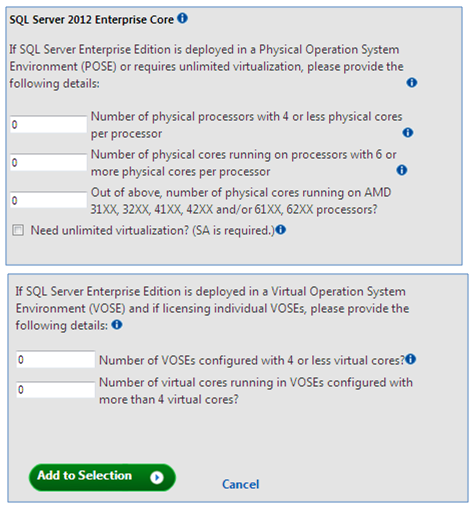 · Each SQL Server CAL can provide access to multiple licensed SQL Servers, including the new Business Intelligence Edition as well as Standard Edition Servers and legacy Enterprise Edition Servers. 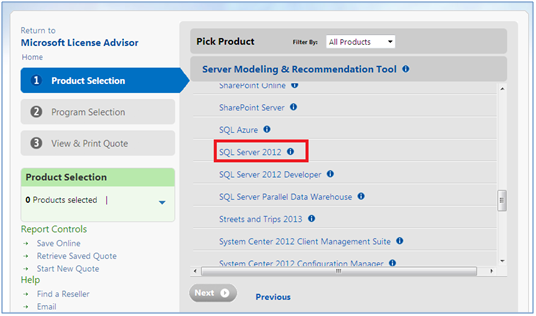 · The SQL Server 2012 CAL price will increase by about 27%. 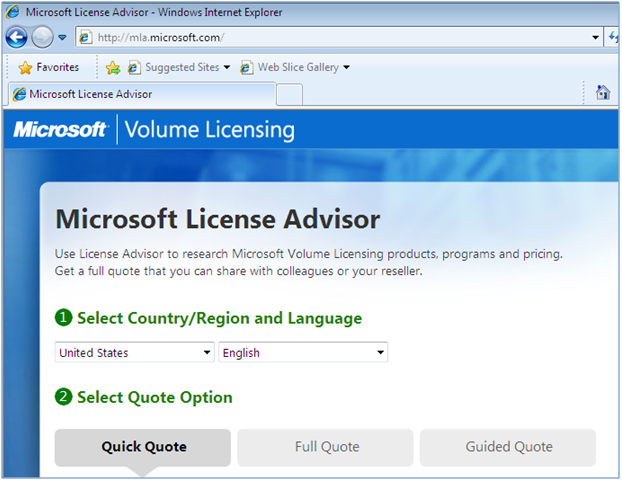 Microsoft License Advisor provides list of Microsoft products, programs and their pricing. 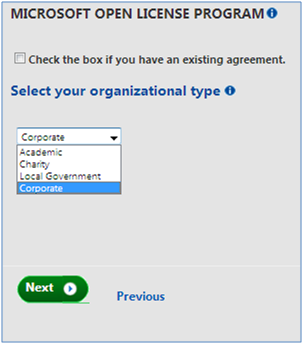 · We can download the report into word or excel also. 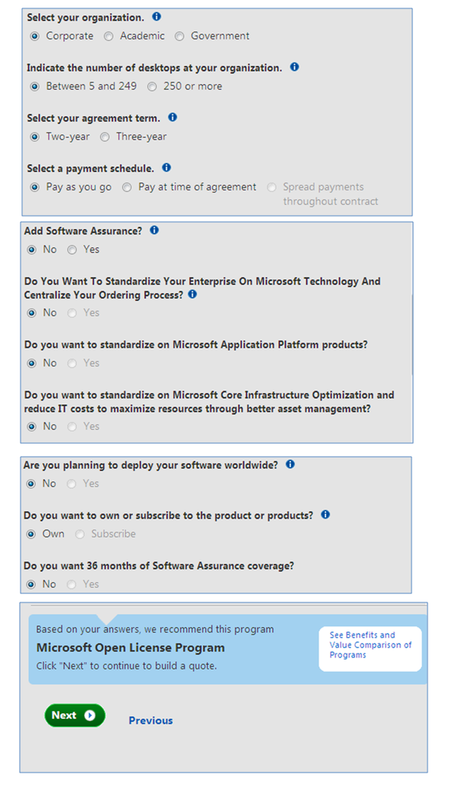 · Once you selected the product, we need to configure the products. 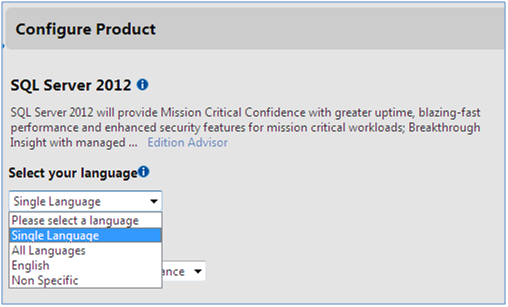 Select the Language type as per your requirement. 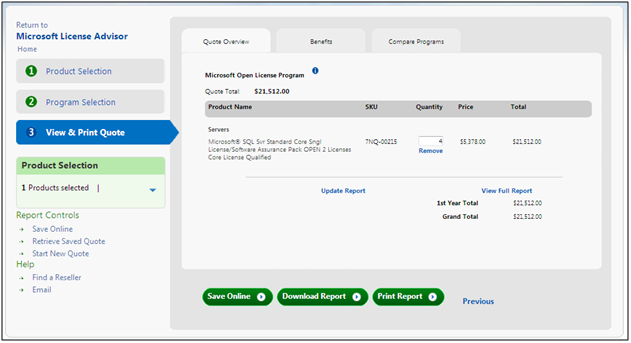 We can use the Microsoft Volume Licensing programs to get the licenses for SQL Server.